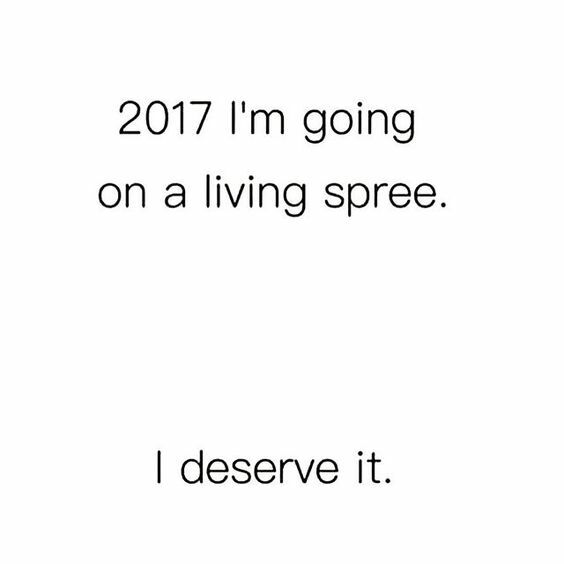 Anyone else excited for 2017, and relieved 2016 is over? I don't want to sound negative, but 2016 was a little crazy. Work was super busy, I lost focus on eating healthy and working out, and I didn't make much time for myself. I don't really don't want to set resolutions for 2017, but I want to be more mindful, and make myself a priority. There were awesome things in 2016 - my family is healthy, I got promoted at work, went on a bunch of fun hikes, and learned a lot about myself. Time to live it up!! You look like all prepared to handle 2017 haha. Good luck with everything and I hope you have an amazing year ahead. I hope that I will be able to achieve my goals too in the year.